It’s almost September and that means FOOTBALL!! If you’re like me, you’ve been counting down since the last game in January for college football. I realize that not everyone is as crazy as I am, but it runs in my blood. My parents have been die hard Alabama fans their entire lives, so I grew up cheering for the Crimson Tide on Saturdays in the fall. That started out with cheerleading routines during halftime, to almost passing out at Legion Field during a game when I was 12, to tailgating with my parents in Tuscaloosa as a student (and now alum). 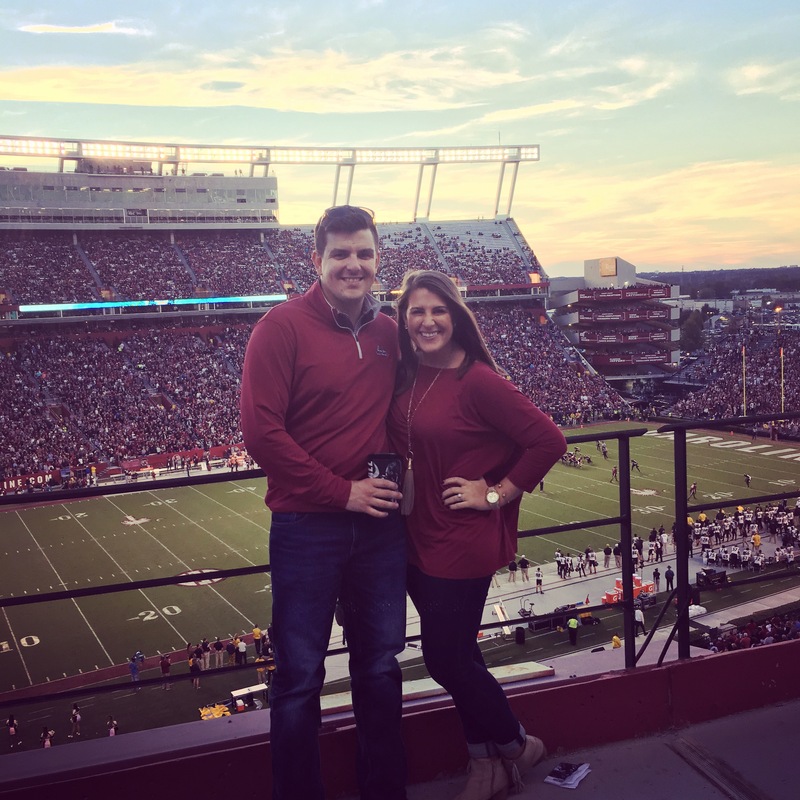 Some of my fondest memories from college revolve around football and my first date with Dustin was to a South Carolina tailgate. I only agreed to go after he assured me (about 10 times) that there would be a TV that I could watch the Alabama game on. When we got there the antenna at our tailgate wasn’t working and I spent the next two hours making friends with people across the way so I could watch on their TV. At one point, Dustin’s friend looked over and asked who the crazy girl stomping her feet watching the Alabama game was. When Dustin told him I was with him, Chris laughed about how PERFECT we would be together. I must say, my love and knowledge of football stems from my dad. I know not everyone feels the same. I actually had a friend tell me once that every time they called a penalty, she would say, “it’s probably holding.” She had no idea what “holding” actually meant, but she knew it was common in a football game. For those of you who need a quick run down for the 2017 season, I’ve got you covered. Here’s what you need to know, who you need to watch, and if you have a significant other like I do, what what you’ll be hearing about until the new year. 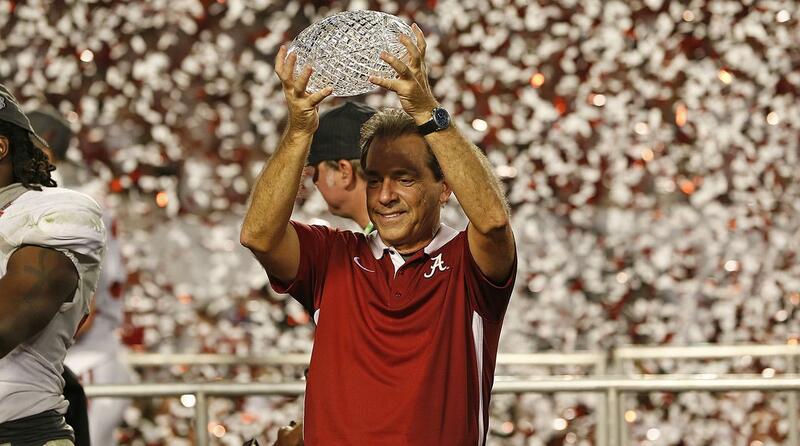 Alabama: Nick Saban and my Alabama Crimson Tide are ranked number 1, even after a loss in the National Championship game against Clemson. They are currently the only SEC team ranked in the Top Ten and this is the first time since 2003 that the SEC has had only one team there. Head coach, Nick Saban, has already gotten feisty with the media and I absolutely love it. The Tide kicks off the season against Florida State in Atlanta. There is a new offensive coordinator in town and everyone is anxious to see how the offense has improved in the off season (#Hurtssogood, amirite?). Ohio State: Ohio State is also working with a new offensive coordinator this year. They’ll face off against Indiana University first followed by Oklahoma in week 2. Urban Meyer has led his team to the playoffs for the past three years and has hopes to do so again in 2017. Florida State: As previously stated, the Noles will play Alabama in Atlanta opening weekend. Their offense will have to figure out how to go up against some of the toughest defenses in the country in the first month of the season. Southern Cal: USC (my husband is going to cringe at that, because South Carolina is the only USC in our house) is going to have a tough September. They only play 3 preseason ranked teams all year and all 3 games fall within the first month of the season. Ouch. We’ll definitely get to see what they’re made of right off the bat. They ease into the year with Western Michigan. Clemson: The reigning National Champs have a brand new quarterback. Dabo Swinney and his team play Kent State opening weekend, so week 2 against Auburn will really be their first test. Dabo just signed a new contract for $6.75 million until 2024, ensuring he’ll be around for a few more years at least. Another HUGE part of football season for me is what to wear. I am so lucky that Alabama’s Crimson and Carolina’s Garnet are just close enough that I can typically get away with outfit repeating depending on where we are that weekend. I’ve linked some of my favorites for this season below! Click the photos to shop! Sorry if you go to a school other than Alabama, South Carolina, Mississippi State, and mayyyyybe Texas A&M. Some of these items come in alternate colors, but I can’t bring myself to post anything orange. What teams are y’all cheering for this season? When we’re not traveling for weddings, you can find me cheering on the Tide at Whiskey Warehouse in Charlotte. Happy football season, y’all! Roll Tide. 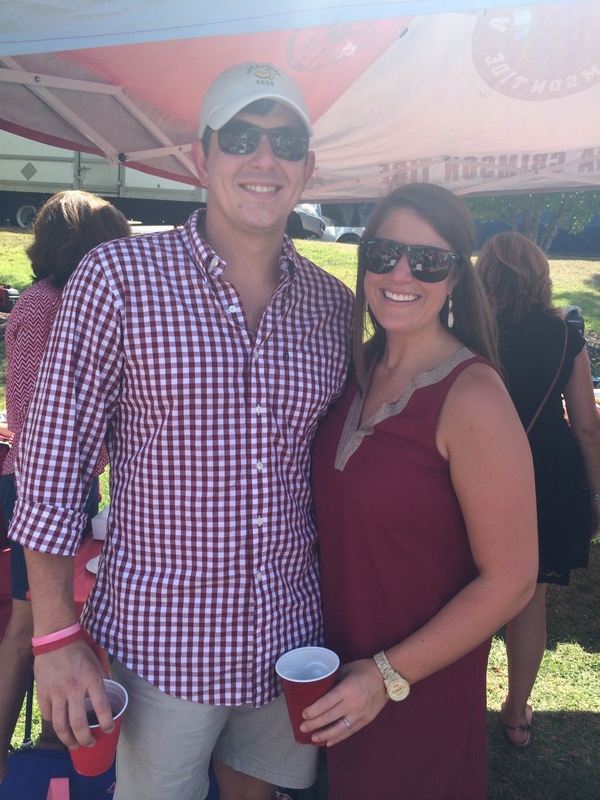 Roll Tide and Happy Football Season!